This item is not available for purchase online. Please call (406) 677-2730 to order. 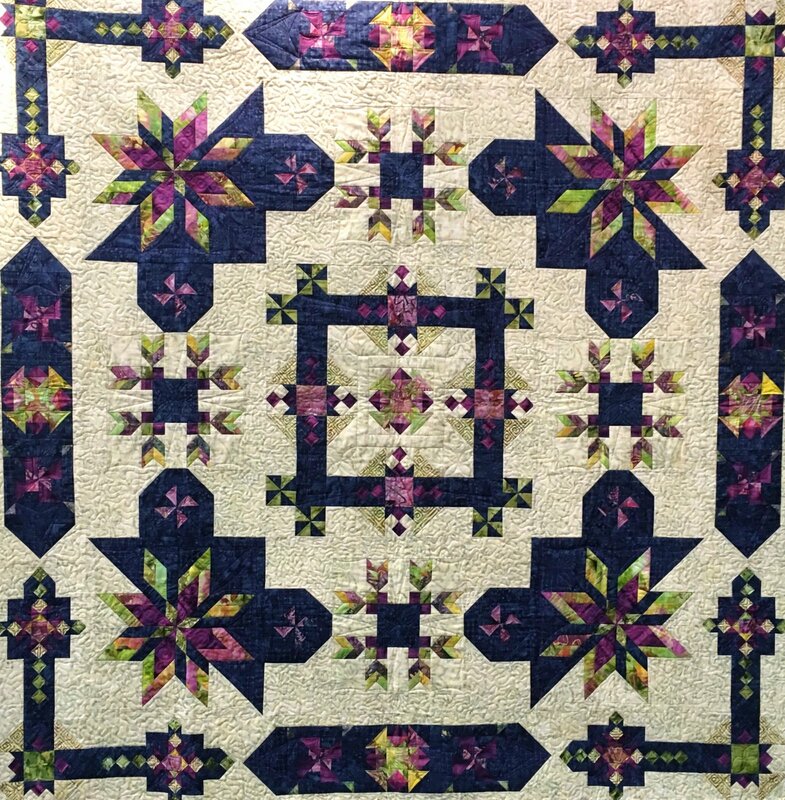 This gorgeous block of the month features Tonga Gypsy batiks by Timeless Treasures and uses the pattern "On The Horizon" by Whirligig Designs. It is $ 29.99 per month for 9 months. Each month you will get the fabrics and pattern for that month's blocks. The finished size is 108"x108." Call to sign up!